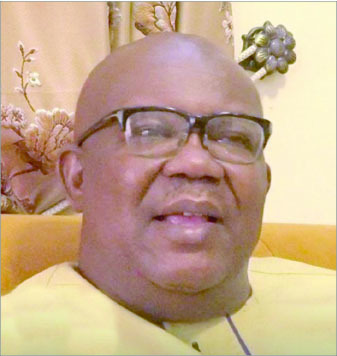 Secretary of the Eastern Consultative Assembly (ECA), Elliot Ugochukwu-Uko, has called on Nigerians to retire the candidate of All Progressives Congress (APC), President Muhammadu Buhari on February 16 presidential election, by voting against him. In this interview with VINCENT KALU, Ugochukwu-Uko, who is also the founder of Igbo Youth Movement (IYM), said the candidate of the Peoples Democratic Party (PDP), Atiku Abubakar, if elected will enthrone justice, equity and reposition the country on the path of greatness. You have been so quiet for a while now; why? I have been quiet for a reason. One, I am getting old; secondly, what I set out to achieve 30 years ago, God has granted it. Actually, I do not think it is proper to continue playing to the gallery. What do I mean, I set out as a young man to inspire the younger generation of Ndigbo to wake them from slumber. I spent over 25 years of my adult life, Organising seminars for Igbo youths, in Lagos, Jos, Aba, Onitsha, Nnewi, Owerri, Abakaliki, Enugu and everywhere, first to make them be aware of themselves and the condition of Ndigbo in Nigeria. Secondly, to wake them up to start asking questions about our future in Nigeria; then to make them be aware that they needed to start demanding for their rights and finally to get them to agitate for justice in Nigeria. That has been achieved through the grace of God. So, I am thinking of retirement and that was why I have been quiet. Another reason is that they called me Elliot Uko (Onye ala restructuring), a mad man of restructuring for more than 20 years. Suddenly last year, the Igbo leaders finally bought into restructuring. I thank God for that. So, I am thinking of retirement. If I continue to repeat myself then I will be playing to the gallery. And I don’t want to do that. Had the elders adopted restructuring 20 years ago in 1999 when I brought all the groups from old Eastern Region at Hotel Presidential, and Ojukwu welcomed the Ijaw youths and Onoh welcomed the Ogoni youths, Nigeria would have been restructured long before now. Had they adopted restructuring then and began to fight for it; it would have been a different ball game by now. But they just bought into restructuring barely a year ago. So, we thank God for that. I have to step down a bit and watch them and pray for them in the course of the restructuring of Nigeria, which is actually the only panacea to getting Nigeria working again. These are the reasons why I have been quiet. But now I am talking because Nigerians surprisingly are about to make some terrible mistakes. If President Buhari is given a second term, Nigeria will die. Buhari should be rejected on February 16. He should pack his loads and leave Aso Villa. Nigerians of all the six geo-political zones are hereby enjoined to vote Buhari out. He is not fit and proper to govern Nigeria. Nigeria is a heterogeneous and multi religious country. He will bring doom to Nigeria. I am pleading with Nigerians all over to think about the future, to think about the reality, which is that Nigeria is better off with leadership that is all embracing, leadership that is fair to all sections, leadership that is genuinely committed to developing the country. However, Buhari is not that. He has a hidden, sectional, religious and regional agenda, which is dangerous to the unity and survival of Nigeria. Any man or woman who cast his vote for Gen Buhari is an enemy of Nigeria. Three and half years ago, Buhari rose to power promising change and the only change he brought is bringing the economy down. Everything in Nigeria is upside down today. He is so dictatorial that he is weakening the constitution, weakening democracy, and enthroning a system of government where 23 military operations are being used to hold Nigeria together. No military operation, Cobra Jump or Viper Dance, as the case may be, is being used to hold Ghana together. No military operation named after any reptile is being used to hold South Africa together. He is the only leader that is deploying military operations to hold Nigeria together. Without all these military operations, Nigeria would have collapsed three years ago. He is a disaster. Anybody supporting him hates Nigeria. The only people who want Buhari to continue are members of the cabal who are running Nigeria on his behalf and their acolytes; the ignorant people who are not informed enough, then thirdly, people who blindly shout he is their man from their region, they don’t care if he is taking Nigeria backward as long as he is their man. No enlightened man, no normal human being will want Buhari to continue. He should pack his load and go. This message is an emergency; all hands should be on deck to show him the way out of Aso Rock. He should go and rest. Does it mean there is nothing good since three and half years of Gen Buhari in power? Absolutely nothing. As far as governance of this country is concerned, there is nothing good about him. He came to power and spent six months commanding the central bank and reversing them without ministers; without cabinet for six whole months, personalising the government of the country, trying to institutionalise himself as an oracle. He destroyed the economy, divided the country and institutionalised nepotism. Everything must be done to return him to Daura so that he can take care of himself. The quality of every product in the market has so much decreased from tissue paper to roofing zinc. The quality has decreased and the prices increased. Go to the market and check. The quality of our life is diminishing under him. So many companies have closed; some have run away from Nigeria. Millions of people have been thrown into unemployment market. Farmers in the Middle Belt and many other parts of the country have received it hot under him. His people just ceased fire because their “Oga” is running for election next week. Maybe, they will resume again immediately after the elections, confirming that they listen to him. When his interest is at stake, his people will know and they can observe a ceasefire. People are killed like rat – the Shiite, the IPOB, and ordinary people. Insecurity is worst from the Fulani herdsmen militia to the Boko Haram unleashing mayhem in the North East to armed gunmen in the North West of Zamfara, Katsina and Sokoto. The country is ablaze. Anybody who wants Buhari to continue in power is an enemy of progress. Any Nigerian who does anything or engages in anything that will assist him in one way or the other to return to power, that person is not being fair to himself because he is a clear enemy of the unity and survival of Nigeria. His worldview is inimical to the growth of Nigeria. We are calling on all men and women of goodwill to campaign door to door and tell their neighbours in all the six geo-political zones that we must retire him from Aso Rock on February 16, so that Nigeria can be rebuilt and reconstructed. But IPOB has threatened boycott of election in the South East? Yes, the Indigenous People Of Biafra (IPOB) is angry with Nigeria and rightly so, because its members have been killed, detained, blackmailed, hunted down and labeled terrorist group, which they are not. IPOB is popular among our people. We respect their decision, nobody is angry with them. Well, they have a right to boycott the election if they so choose. We also have a right to vote out Buhari if we so choose. We have not attacked the IPOB for boycotting the election, nobody has attacked them and IPOB have not attacked anybody that chooses to vote. It is called fundamental human right and freedom of choice. They want to boycott, but we want to vote out Buhari. The most imminent task before all Nigerians today is to gently remove him from Aso Rock. I want to use this opportunity to plead with Nigerians to troop out enmasse and vote in Atiku/Obi ticket. The Atiku/Obi ticket will ensure first of all, justice and equity for everybody, level playing field and next promise to begin reconciliation and reconstruction of Nigeria by devolving power back to the regions. Secondly, Atiku himself is a consummate Nigerian, who understands Nigeria, who is well received and he also receives Nigerians from all the sections of the country. And his deputy, Obi is a consummate businessman and a very frugal administrator of men and resources, which is what Nigeria needs now. We must support them and we must plead with our neighbours, friends, brothers and sisters to join hands and vote in Atiku/Obi into office and retire Buhari. Then thank him and ask him to go home and rest. Do you see INEC conducting a free and fair election? It is impossible for the All Progressives Congress (APC) to rig Buhari in this 2019 because Nigerians have rejected him. Nigerians from the six geo-political zones have rejected suffering, poverty, insecurity and fake integrity. Nigerians from all the six geo-political zones want to see a level playing field and leadership that will give all sections justice and equity. No right thinking Nigerian will want Buhari to have a second term. It will be impossible for him to rig because it is clear that the people in Agatu, who buried over 100,000 people last year would not want the president to continue. It is clear that people in Plateau who buried hundreds of people would not want him to continue. It is clear that the people in the North East and North West who are undergoing difficult time starting with insecurity, poverty and all kinds of misery would not want him to continue. The people from the South West are enlightened people. The Yoruba are learned people; they are educated and very smart. They do not want this misery to continue. Yes, I know that a few of them are erroneously supporting Buhari, because they believe that Buhari will give them presidency in 2023 when you and I know that if by some miracle or opportunity Buhari gets second term, he will disappoint them in 2023; you know that and I know that. The entire South East and South South are no go area for Buhari because he hates this region with passion. He says we are five per cent people. He proved it in his appointment; he proved it in his statements and utterances, he proved it in his treatment of our children by killing them in cold blood. It is impossible for him to rig. The president will not get up to 40 per cent of votes cast on February 16. He is a disaster, and so, should pack and go. Nigerians love late Umaru Musa Yar’Adua, Nigerians missed him, and they respect and adore his memory. He is from the same Katsina State as Buhari. He is a Muslim as Buhari; he was Fulani as Buhari. So, it is not about Buhari being a Northerner or he is Muslim or Fulani. Even Atiku is also a Fulani and we are pleading with Nigeria to vote Atiku. It is about the man Buhari; he is a disaster and a big mistake. It will be a tragedy if Buhari is given second tenure. He should pack and go. It will be a tragedy of monumental proportions to engage in anything that will secure second term for Buhari.